Fact or Fiction? San Carlos is about to get hit with a wave of foreclosures. Fiction. We’ve been hearing this for the past three years. The fact is that we currently have 70 properties sitting in some type of foreclosure status. This can be something as simple a Notice of Default filed against the property, to a property just sold on the courthouse steps. The vast majority of these properties will never become foreclosed homes. In fact, since 2007, the average number of homes having some type of foreclosure status has been 70. This number has not changed in any meaningful way over the past four years. Fact or Fiction? Carlmont is having an impact on San Carlos real estate. Fact….at least from what I have seen. Since the vast majority of San Carlos is assigned to Sequoia High School and can no longer freely use the intra-district transfers to move to Carlmont, only the majority of the Cordes Area and a small section of Beverly Terrace are still assigned to Carlmont (for a map of these areas, click here). While this is obviously not the most important issue for many buyers, I believe it is safe to say that the assigned high school has moved itself into position as one of the more meaningful aspects of the property for many buyers. Fact or Fiction? Homes built on any of the creekside lots in San Carlos require permission from the City of San Carlos and the Department of Fish and Game before the retaining walls, landscaping, etc on the back of the property can be undertaken. Fact. We have several creeks in San Carlos. All property owners wishing to make a change as to what may touch, run off or otherwise impact the creek from their property, must get approval from the Department of Fish and Game. Fact or Fiction? We have a disproportionately high number of homes currently on the market. Fiction. We currently have only 63 Active properties. Over the past 5 years we have averaged between 60-75 homes on the market during the late spring months. Fact or Fiction? White Oaks is defined as all homes south of Brittan Avenue, and east of Alameda de Las Pulgas. 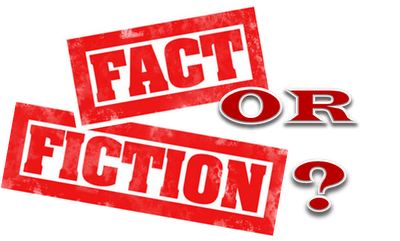 Fiction….and if you got it wrong, you are not alone. Many falsely assume they are in White Oaks when they are not. Further, having your property located in “White Oaks” has nothing to do with the White Oaks School. White Oaks proper, has everything to do with the White Oaks Subdivision. The White Oaks Subdivision was the name of all homes built south of Belmont Avenue, east of Alameda de Las Pulgas. Fact or Fiction? Buster Posey is the newest resident of San Carlos. Fiction….I’m sorry to say….at least for now. Some of the rumors I have heard over the last few weeks have been very entertaining. The most credible seemed to be that he had purchased one of the Eaton Avenue properties. Both of those properties that were described are still Active. Additionally, a search of the public records for San Carlos does not show a property owner with the last name of Posey. I suppose it is possible that he could be pending in an off-market property, but I would find the odds of that to be pretty remote.